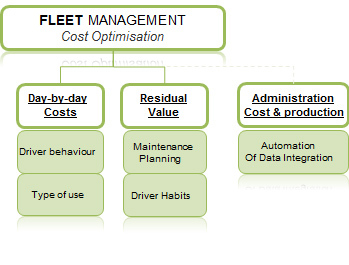 Incorporate fleet management in your company and adapt resource assignment for optimal efficiency! Monitoring vehicles or units in real time, in order subsequently to be able to consult and analyse all the corresponding telematic data, provides significant information for business management optimization. 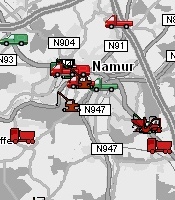 The fleet manager can differentiate the vehicles by type (lorries, trailers, cars, cranes, etc.) and by group (technical service vehicles, refrigerated lorries, etc.). He can, therefore, take decisions based on the activity and status of the units and also on the behaviour of the driver and his driving habits. All stored data can be filtered and analysed. distance covered by journey, by day, etc. The online information and the reports (PDF, XLS, CSV, XML) enable managers to be proactive and take decisions based on the continuously updated status of their entire fleet. It is also possible to interface Telefleet with your critical applications in order to optimize overall operation. increase in the residual value of the vehicle by better control over maintenance and repair work..
And, given that data recording is paperless, resource allocation can be adapted within the company.